You’re playing a 9 handed sit and go tournament in the early stages. 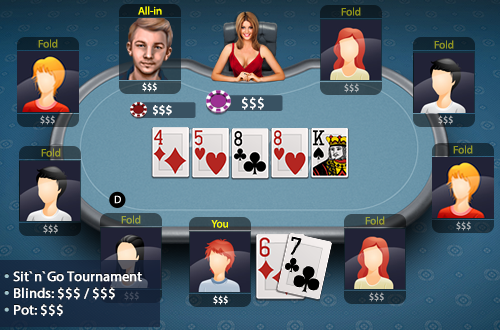 You have raised with 67 and the flop has come 458. You raise and your opponent calls. The turn brings another 8 where the action is check call and on a K river your opponent shoves all in. What should you do?